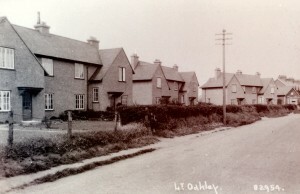 Quite a number of houses in Little Oakley are modern, but who can expect otherwise in these post-war days of intensive building. 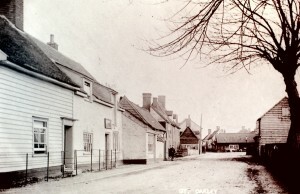 Yet Little Oakley possesses many reminders of the past in the shaper of older dwellings, houses of thatch and timber, and therefore provides an air of age which the modern intrusions fail to efface entirely. 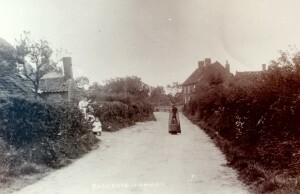 Both Little Oakley Church and Little Oakley Hall are situated some distance from the streets. Situated in the heart of the countryside amidst fertile fields, and with marshes and the sea within sight. Little Oakley hall itself has been modernised somewhat, but even so, with its cool, ever green lawn, its many flowers, its general aspect of all that is best and wholesome in this England of ours, it is still a very charming place, and the fact that the church is little more than a stones throw away adds a certain attraction to the scene. At the present day St. Mary’s consists of chancel, nave, south porch and Western tower, but the porch is of modern brickwork, in which it resembles many of the buttresses. 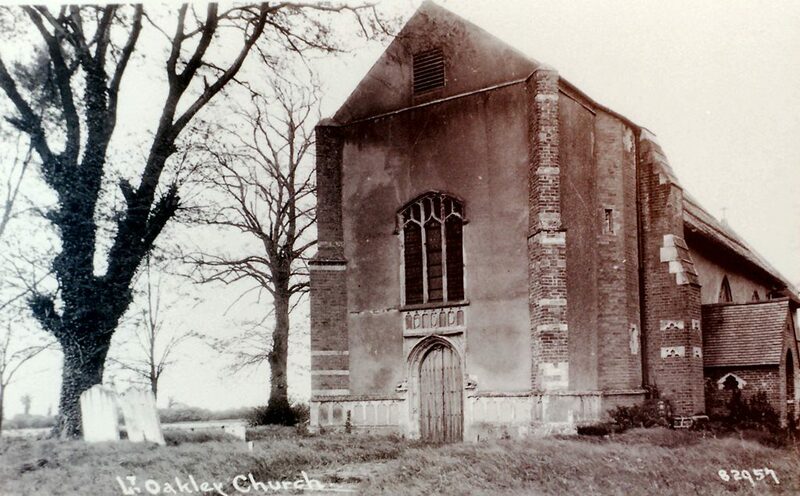 As we have seen restoration has occurred extensively in Little Oakley Church, but through this restoration certain things were brought to light which assist to dignify this building. These were some of the original tiles in the floor near the pulpit, thus contrasting considerably with the new tiles of the chancel and the nave’s wood block floor. 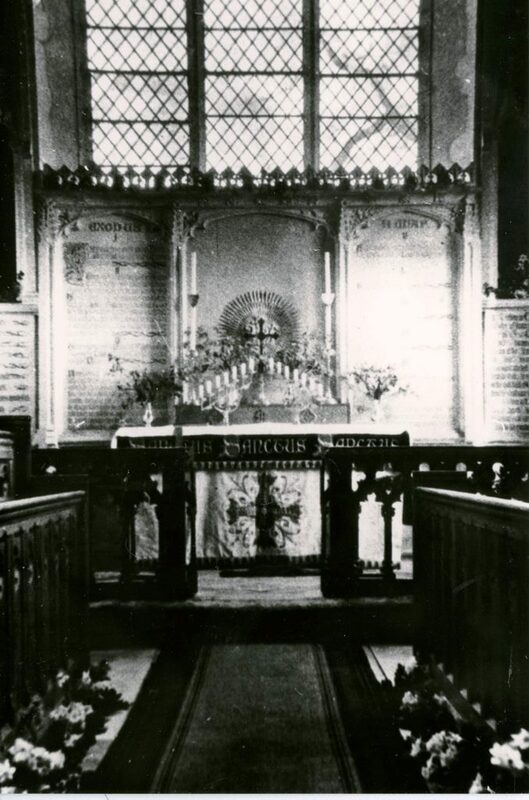 The pulpit is new, but invites inspection through the fact that it exhibits and inscription recording that the fittings in the chancel were given by the children of a former rector to perpetuate his memory and that of his wife. 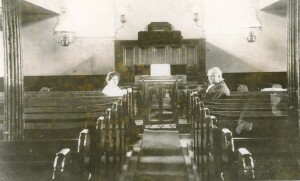 This incumbent was the Rev. 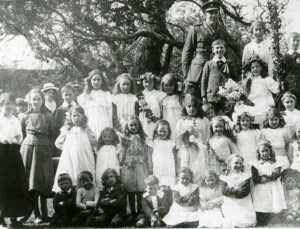 George Burmester, who ministered to the spiritual needs of Little Oakley’s people for sixty-one years. 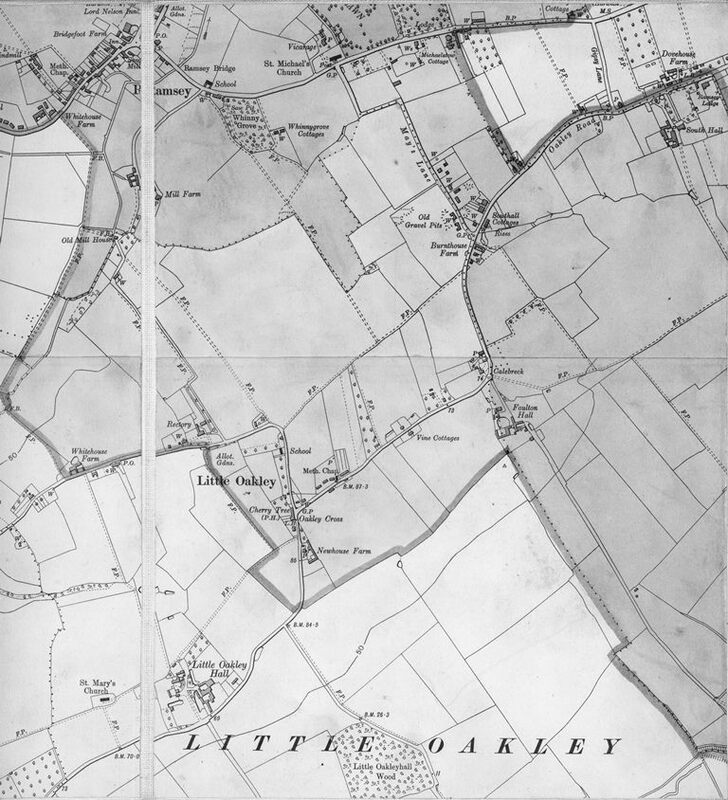 When his grandson fought against King Henry the First and lost everything in consequence, Robert FitzWalter was presented with the Bayning estates by the King, and in 1259 a certain Robert Filiol held Little Oakley of this Robert FitzWalter. 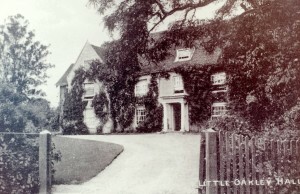 In 1331 Ralph Filiol parted with the Little Oakley estate to Sir John Filiol, and eventually it was inherited by his granddaughter Cecily, whose husband was Sir John de Bohun. And here again is a definite connection with one of the most thrilling affairs in all England’s fighting story. 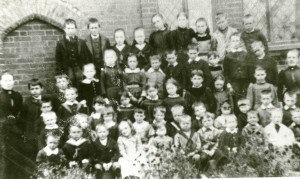 The school has changed little during its long and useful life, but was modernised and added to and now serves as a primary school. 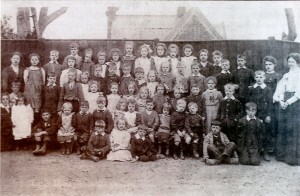 During the rector’s time the local children were allowed to use the rectory tennis courts and became so proficient in the game that they were unbeatable in the district. 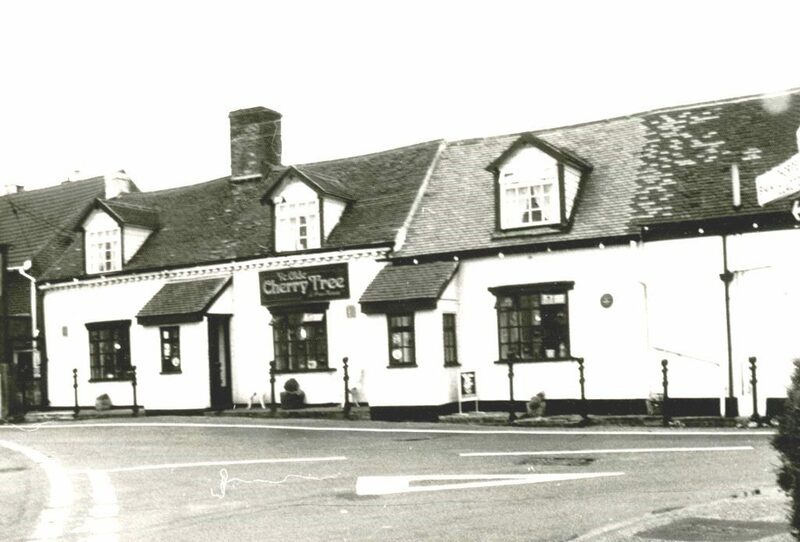 Like many such rural establishments the pub has had a bumpy ride over the last twenty years from winning multiple awards to closure and a very uncertain future. It is happily now back open and serving a selection of real ale and cider. 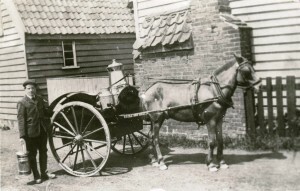 The Site lists original content on Pub History Census and Trade Directory entries from the Post Office, Kelly’s and Pigots Trade Directories, and has entries up until 1937. If there is not an entry for a year, it is because I do not have this information. please help us to complete the data. 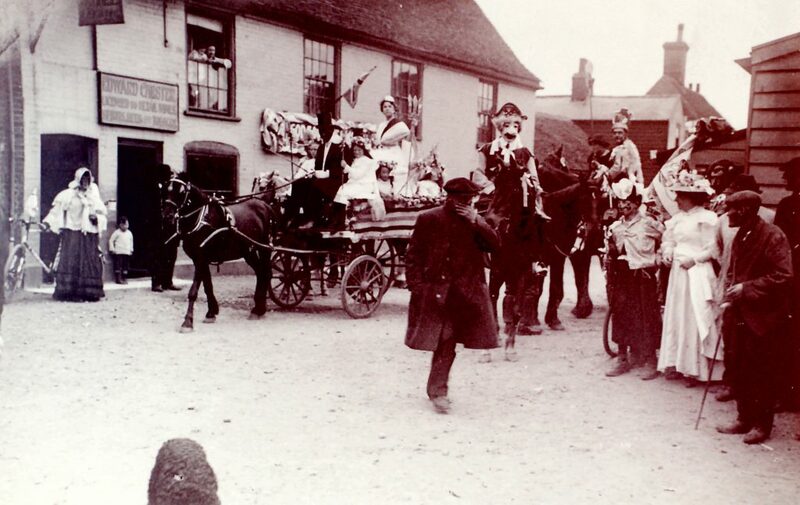 There have been many competitive games in village life centred on the “local”; one of those, once very popular but now almost forgotten, is the game of “quoits”. 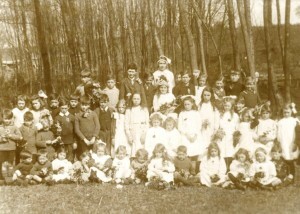 The games of “quoits” is played with a heavy sharp iron ring, or quoit, weighting between 7 and 9lbs. The quoit is pitched over as near as possible to an iron “hob” from 18 yards distance where one finds a second “hob”. A bed of clay, sometimes circular but often square in shape, known as the “pug patch”, surrounds each “hob”, and play proceeds as in bowls from end to end. 2 points are given for a “ringer” and 1 point for the quoit nearest to the hob. Although not in the rules it was unusual for a “fag paper” to be stuck on the hob so that it could be seen clearly in the mud at 18 yards distance, and this paper was referred to as the “light”. 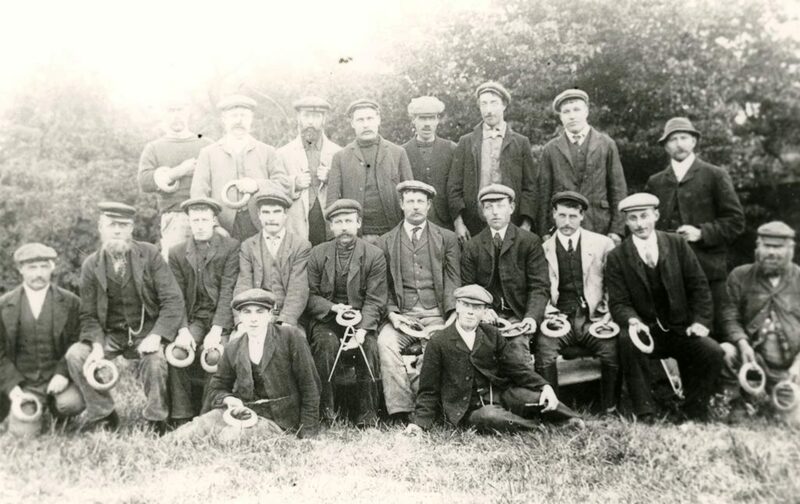 Little Oakley Quoits Team 1913. 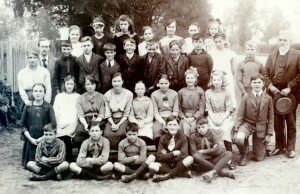 Back Row. Alfred Baldry, Alf King, Jonathan Mann, Ernie Baldry, Fred Gilbert, Bill Merchant, Jim Baldry, George Newman. Front Row. Henry Nevard, Bill Bull, ? 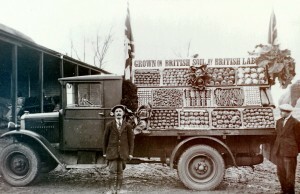 , Fred Lord, Jim Bull, George Nevard, Fred Barker, Joe Bull , Alfred Briggs, George Everson. 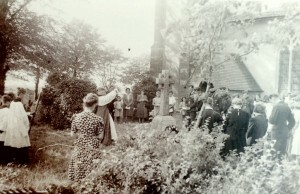 Jim Bull holds the ‘Calipher’ often essential to determine the quoit nearest to the ‘hob’ and George Newman was the ‘publican’. 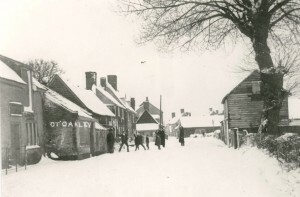 At the beginning of the twentieth century Great Oakley was a flourishing village community with four public houses – The Cups, The Castle, The Maybush and the Swan. 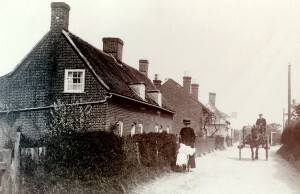 There were three bakehouses – one at the Mill, one at the Red House Stores and one at the Old Bakery. 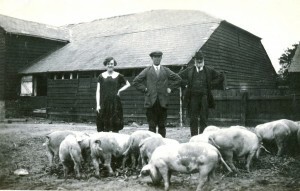 Three, possible four slaughterhouses served the community, one on the SE side of Pesthouse Lane one behind the Whispers, one at Park Pale and perhaps one in the L-shaped building which stood on the site of the Cups car park. 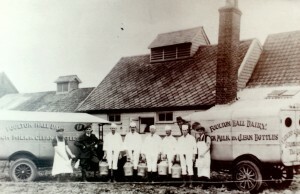 There were breweries at The Holt Farm, Maltings Farm, Mardens Farm and Great Oakley Hall. 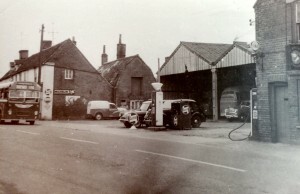 Behind the Post Office was a tinkers shop. 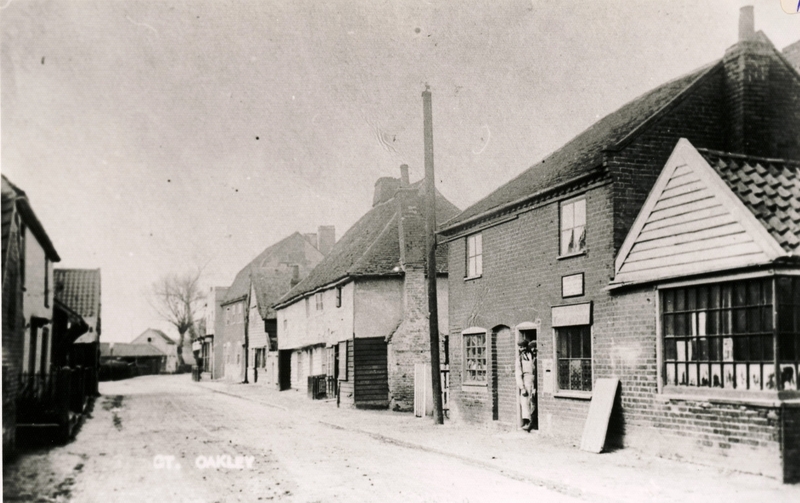 Opposite the Swan was a large Wheelwright and Carpenters shop owned and run by Mr. Cooper and his son. 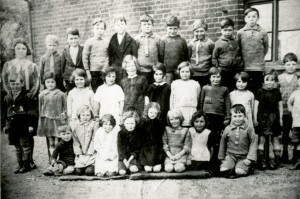 The brick floor of the building is still extant as part of the garden and Whispers. 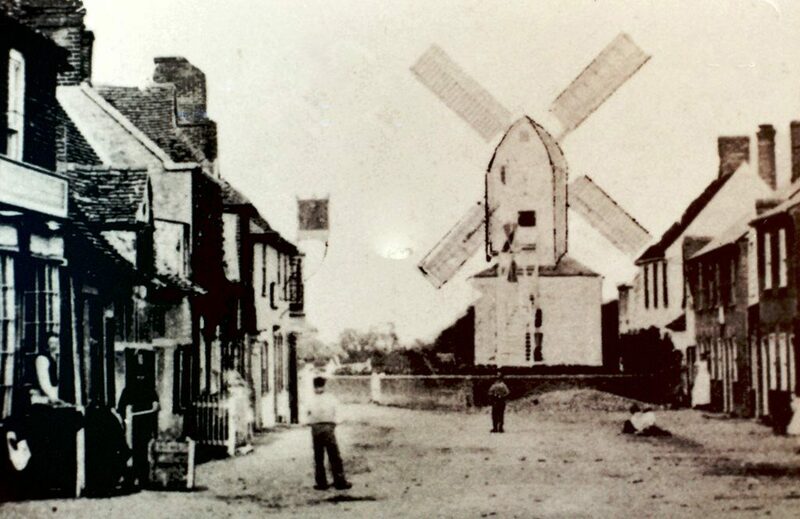 The Windmill stood between the steam mill building and the road and was a working mill. 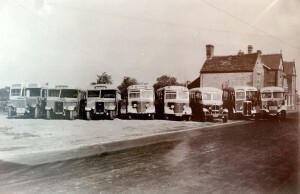 There were fifty men employed at Great Oakley Hall and twenty-four horses were kept there. 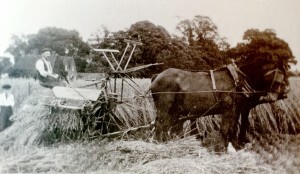 Ploughing was done usually with a horse drawn plough sowing the corn was with a ‘fiddle’. 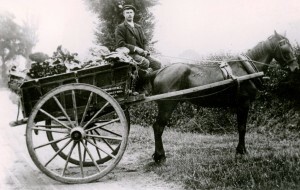 The Portables, pulled by four horses were taken from farm to farm. 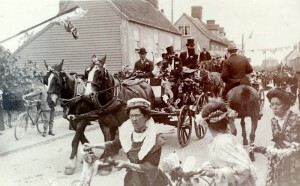 Steam driven traction engines came later. 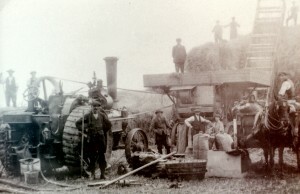 There were also steam ploughs or le-drain-layers which were pulled from one side of a field to another by means of cables. 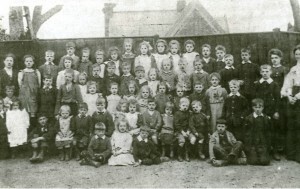 Many children followed their parents into running pubs, Girls started as barmaids or working in the kitchen, while boys became potboys or ostlers. 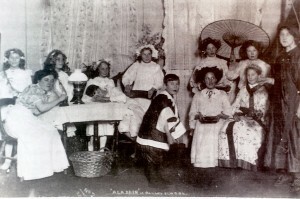 It was extremely common for publicans, particularly in smaller establishments, to work only part-time, Combining running a bar with other work. 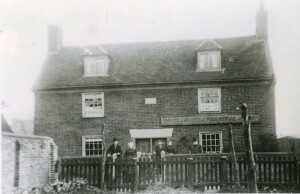 During the day running the pub was left in the hands of his wife and other members of the family. 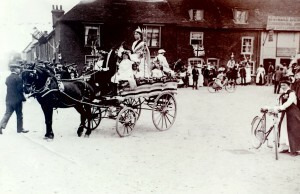 a number of women also ran pubs, often taking over on the death of their husbands or fathers. 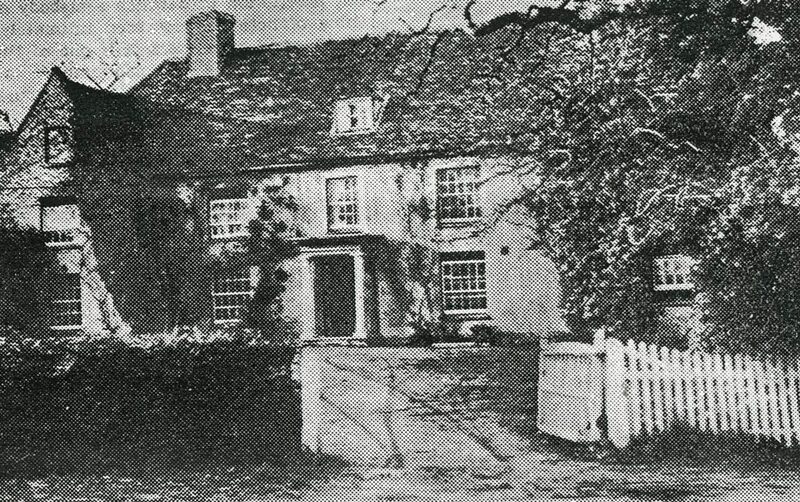 The swan stood opposite the house Whisperers, between the old Post Office and the house called Oakleigh (the old Police House) and it had an overhanging first floor. The Castle which stood a few houses to the west of the Cups about midway along the present garage forecourt. 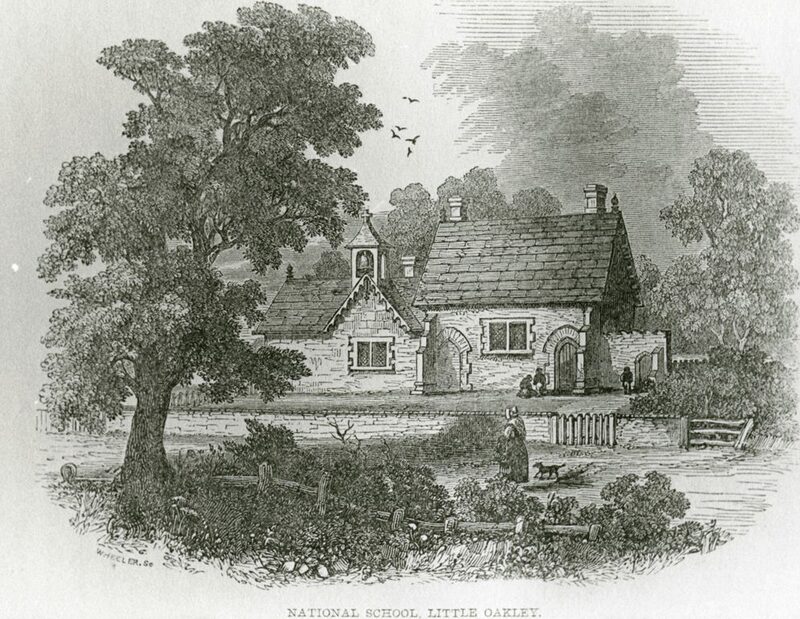 Founded in 1837 as Great Oakley Primary School by the National Society for Promoting Religious Education According to the Principles and Practices of the Church of England. 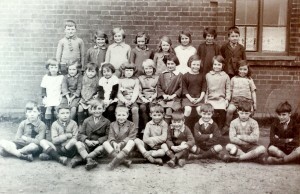 The original Victorian building was demolished in 1965 when the school moved into new premises. These premises were extended in 1973, 1992, 1998 and again in 2004. 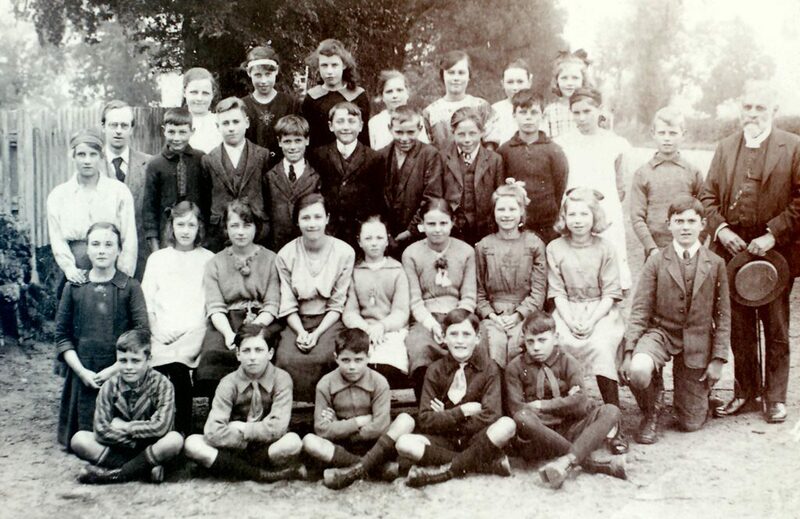 The accommodation now comprises five classrooms, a gymnasium, a dining hall, a library/entrance hall, school offices, a staffroom and a kitchen. 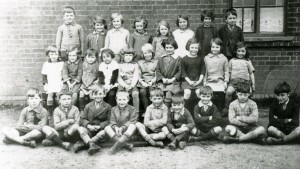 Surrounding the school is a well-equipped playground, a games field and a conservation area. 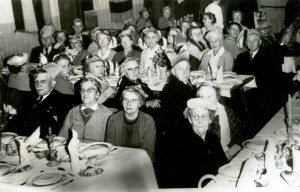 Gone are the many butchers, blacksmiths and shoemakers and gone are the spinsters. Todays workforce runs a whole gamut of occupations and professions, ranging from those naturally connected to the local seaport and with those particular workers using Great Oakley & Little Oakley as dormitory villages. 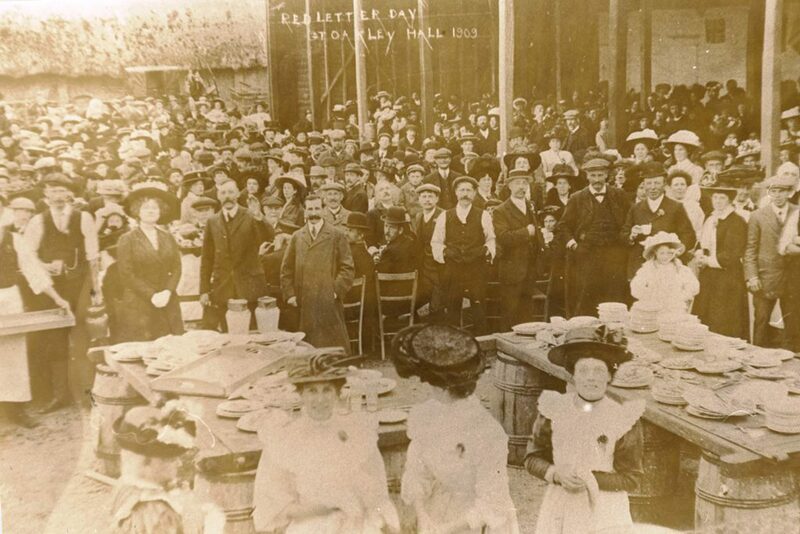 We are adding more information to this site on a regular basis, if you wish to submit any photos or provide any information on Landlords and Landladies, then please use the contact page at the bottom of the screen.